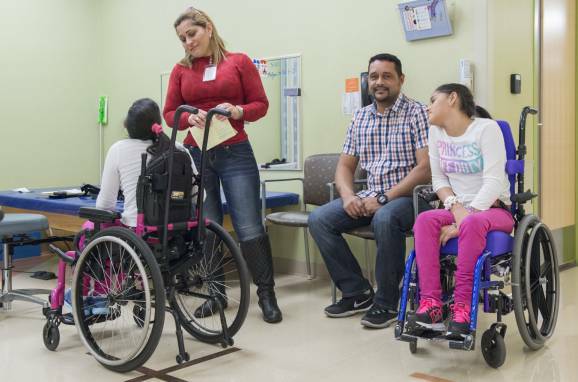 They came to Gillette Children's Specialty Healthcare with twice the hope. Twice the dreams. Twice the determination. 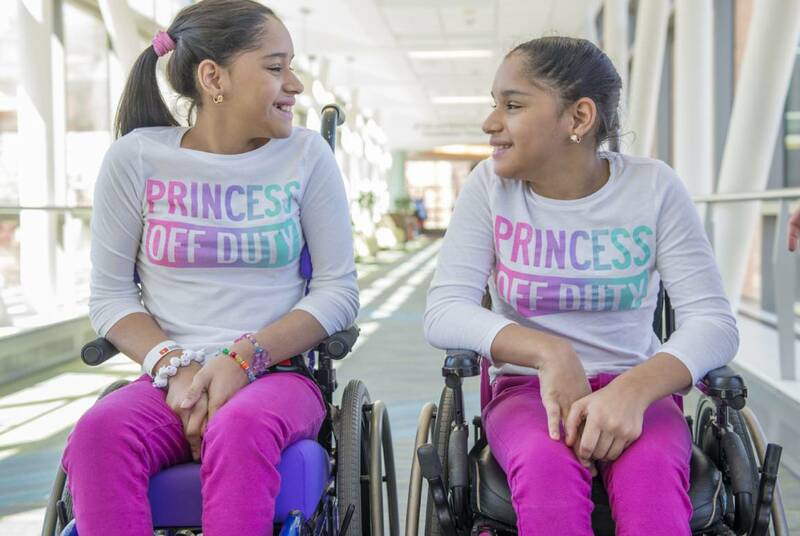 The Bracho Diaz family left their native Venezuela eager for another round of expert care for their 10-year-old twin daughters Maria de los Angels and Maria Antonieta. 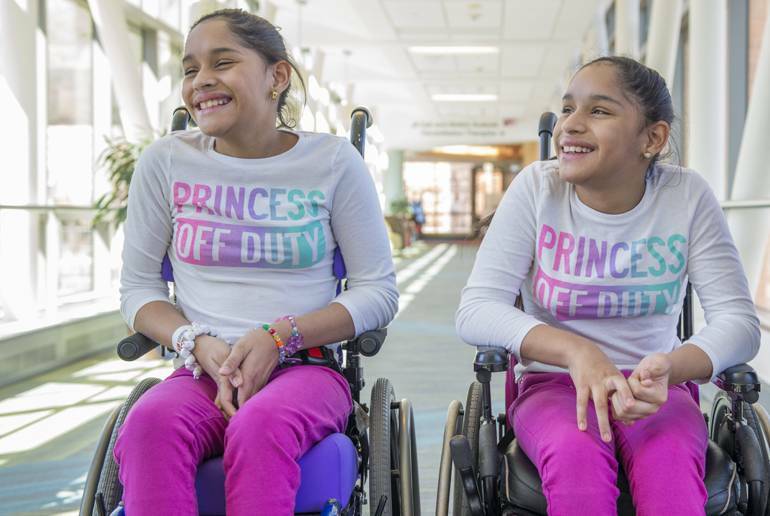 Yes, identical twin sisters who share the name Maria and a diagnosis of spastic quadriplegia cerebral palsy. 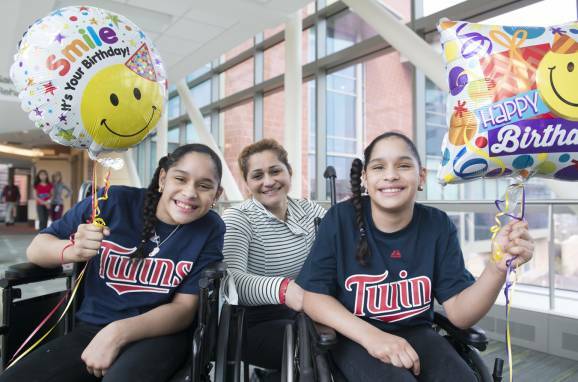 The family’s connection with Gillette began back in 2013 when Maria D, as her family calls her, had selective dorsal rhizotomy surgery (SDR) and Maria A had hip surgery with pediatric orthopedic surgeon, Tom Novacheck, MD. 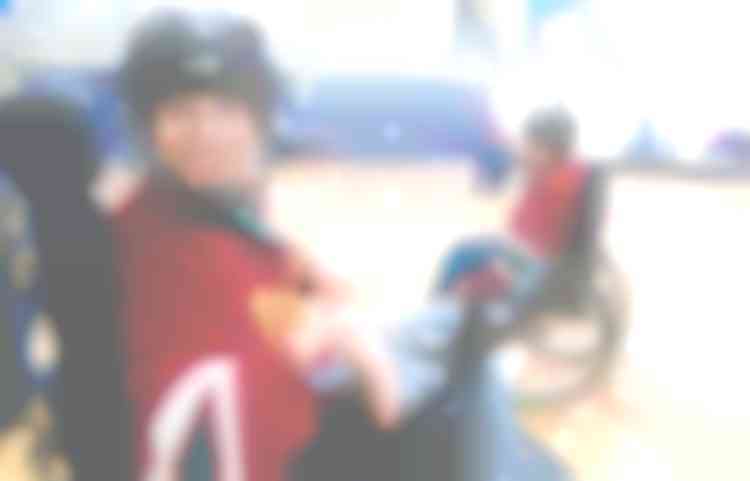 The Bracho Diaz family first “met” Novacheck during a telemedicine conference in 2012. Their doctor in Venezuela received training from Novacheck and thought Gillette could provide more specialized care for the girls. Their parents, Nixon and Marilyn Bracho Diaz agreed and the family spent six weeks at Gillette. The first surgeries at Gillette were beneficial for both girls. “When Maria D first came to Gillette she couldn’t really stand and both her hands were clenched. 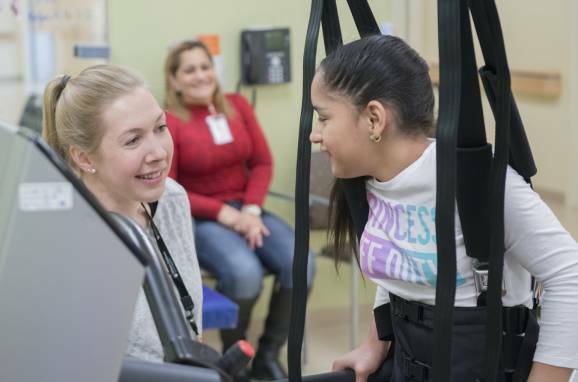 After her selective rhizotomy surgery she’s standing better, learning to walk and she has more movement and control of her hands,” Marilyn Bracho Diaz says through an interpreter. 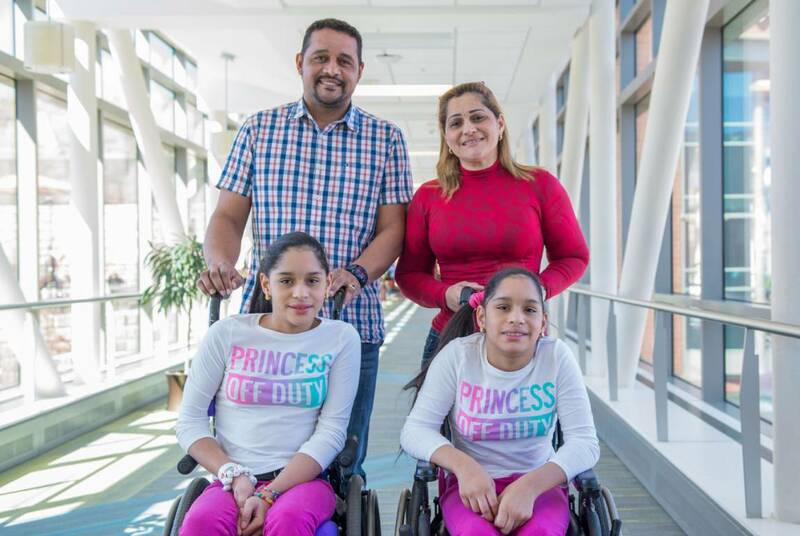 This success made it easier for the family to decide to return to Gillette so Maria A could also have selective dorsal rhizotomy surgery. Selective dorsal rhizotomy surgery is a long and complex procedure but it often results in helping patients achieve better mobility and independence. The surgery treats spasticity caused by abnormal communication among the brain, spinal cord, nerves and muscles. During the procedure surgeons cut the nerve rootlets in the spinal cord that are sending abnormal signals to the muscles. 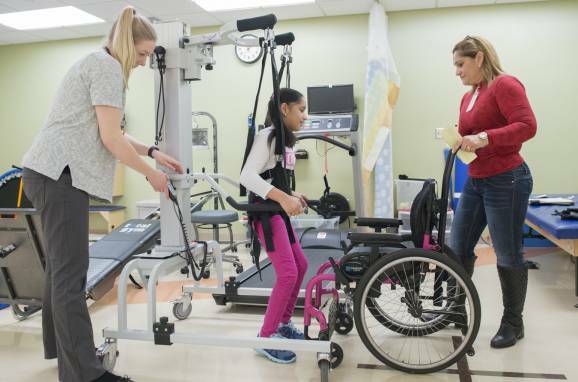 Typically patients, like Maria A, are hospitalized in the Gillette inpatient rehabilitation unit for about six weeks. It’s a big commitment for the entire Bracho Diaz family to leave their homeland and relocate to Minnesota. “It’s totally worth all the sacrifice,” Marilyn Bracho Diaz says. 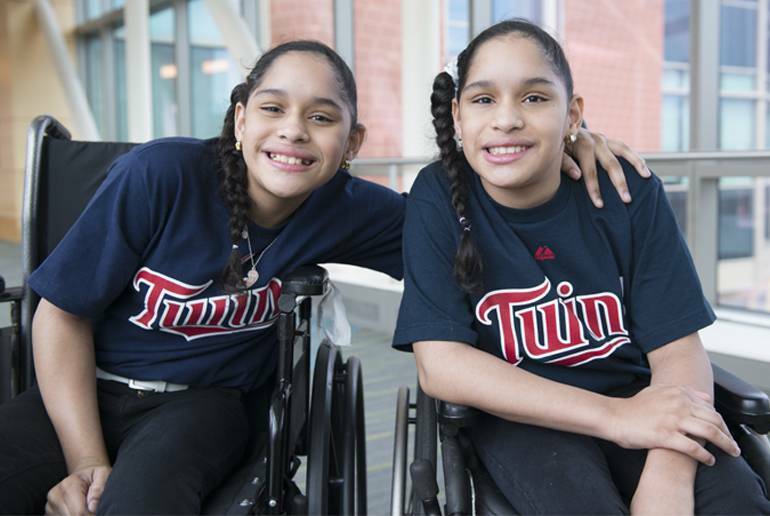 The twin girls have an older brother, Tixson, and an older sister named—you guessed it—Maria. Nixon Bracho Diaz, the girl’s father, says it’s a tradition on his side of the family to name the girls after their grandmother so that’s why all three of his daughters are named Maria.  The family stays in a hotel in a St. Paul suburb so they can be together as Maria A and Maria D spend time at Gillette. While Maria A recovers from her surgery it’s a good opportunity for Maria D to participate in many therapy sessions at Gillette. 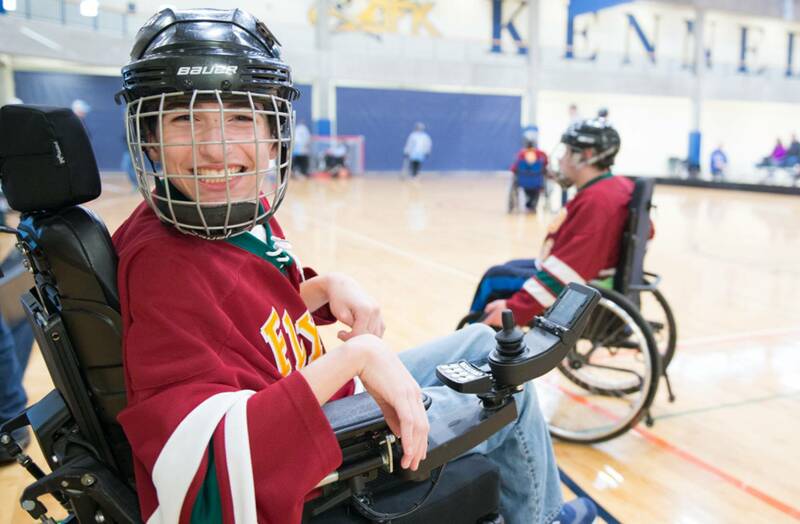 Maria D has daily sessions with physical therapy, occupational therapy, and aquatic therapy to help her gain strength and control of her muscles.